Our Active Adult Program takes the classes to you at easy to locate sites in the community: Sunnyvale Senior Center, Sunnyvale Community Center, Cupertino Senior Center, and the FUHSD Adult School location. Our well-balanced curriculum includes art, exercise, home arts, languages, literature, writing, and many more. There are many different classes offered to Active Adults. Take advantage of these low-cost classes designed especially for active adults 50+. To qualify as an Active Adult, you must be at least 50 years of age, including classes at Sunnyvale or Cupertino Senior Centers. Both Sunnyvale and Cupertino Senior Centers require you to join their center. 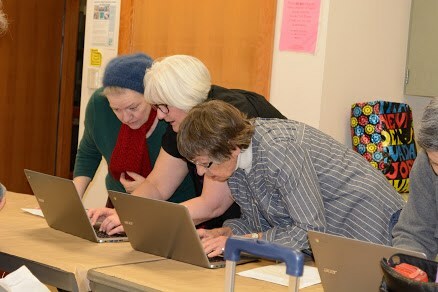 We are dedicated to providing engaging classes that meet the needs of our active adult community.